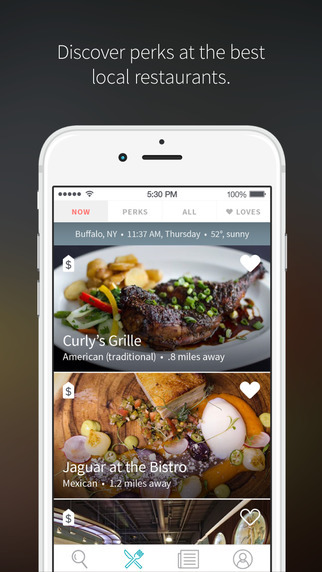 Loupe is a free app that offers perks at the best locally owned restaurants. Use Loupe to find a curated list of the best restaurants. Sort by what’s nearby or what you’re in the mood for. And the best part? You’ll receive exclusive perks at participating locations for doing what we all love to do: Eat! Download Loupe now. Your stomach (and wallet) will thank you. Based in Buffalo, NY, Loupe works with hundreds of businesses throughout North America. With our products, businesses attract and retain customers; and users enjoy perks at the best locally owned businesses in their communities. We value connection. We engage local communities. We build meaningful experiences. We’re Loupe.